In order to get a really good bond, I route 1/8" channels into the faces wherever an end will be glued. 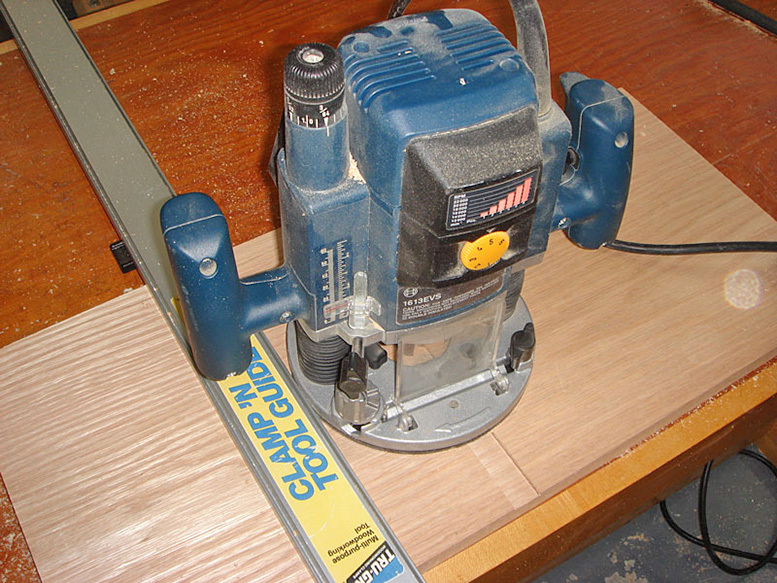 Since my design called for square edges lengthwise, with rounding only along the end joints, I carefully measured and cut notches with a Stanley knife exactly where the router bit would enter and leave the cut to prevent any tear out. I use sharp Whiteside⩘ carbide-tipped bits, and use a slightly undersized bit to compensate for the sanding (depending on how heavily I need to sand the faces, 11/16" or 23/32").